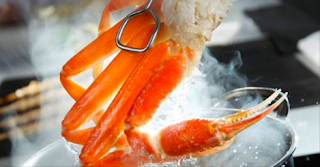 Right now in the Red Lobster Facebook page you can get a coupon via email for a 1/2 pound of Snow Crab for only $3.99 when you purchase a dinner entree! All you have to do is click on the "Get Offer" button. This coupon is valid through November 10th. What a yummy deal!